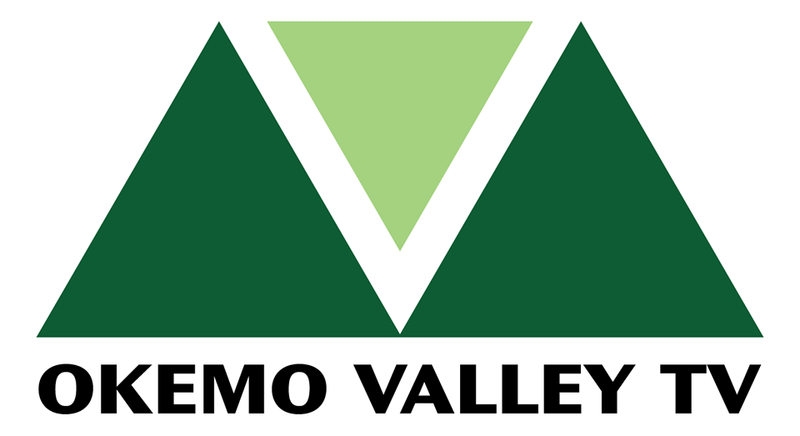 LPC TV is now officially Okemo Valley TV, complete with a new logo. Breezy Winds and dry weather increase fire weather concerns. Fire officials advise against any open burning...including campfires on Friday across northern New York and Vermont. The lack of precipitation this month has led to fine fuels such as leaves...grass...and small brush to become very dry. Northwest winds 10 to 15 mph with localized gusts 20 to 25 mph are expected on Friday with minimum relative humidity values in the 28 to 38 percent range. All of these factors will increase the potential for any fires that do start to spread quickly and become more difficult to contain. • Telecommunications Update was given-letter of agreement between the state and Comcast has yet to be issued by the state. Comcast is waiting for this before starting to expand service from Tarbell Hill through the Knapp Pond area. TDS service appears to be considerably worse than normal. • Unanimously approved the addition of a new utility pole at 37 High St. (next to the town office) for TDS. • Town received a check for $14,786 for past tipping fees, which will be used to help offset the cost for the new electronics shed that was approved by the voters. • The Planning Commission was given approval by the board to move forward with an application for a matching funds grant to establish a hiking trail in the Proctor/Piper state forest. • Bids were open from six vendors for the replacement of Bridge 21 (Greenbush) and Bridge 22 (East Rd). Awards will be done at the November SB meeting. • The SB signed the Declaration of Official intent regarding the anticipated for the town garage. • Tests are underway to determine location of new town garage. The town will rent space from M&M Construction for the winter season. • A potential leak in the pipe of the municipal water system was discussed. As of Thursday the problem was resolved. For a more in-depth report see The Dish. Accident on Cavendish Gulf (103) Involving a bear: According to the VT State Police Report, On 10/12/2017 at approximately 5:30 pm, a member of the Vermont State Police, Westminster Station responded to VT RT 103 in the Town of Cavendish for a car versus bear crash. Investigation revealed that a vehicle being driven by Mr. Thomas Hannigan, 32 of Bellows Falls, VT was traveling north at approximately 50 MPH when he struck a black bear which entered in to his travel lane. No injuries were sustained in this crash and Mr. Hannigan’s vehicle was towed from the scene by H&K towing. The bear was killed on impact. From the various responses to the posting on the Cavendish VT Facebook page, bear appear to be very active at the moment and have been seen on 131 near Glimmerstone and in S. Reading. Cavendish is prime black bear habitat so use caution when driving. New Cavendish Municipal Website: The Cavendish municipal website has a new look and offers new features. Scroll to the bottom of the page to sign up for e-mail alerts about SB meeting agendas and minutes. The web designer for the new site was Katie Hamlin. She is looking for your feedback, so please complete the on-line survey that you can link to from the top of the homepage. CTES 5th Graders New Video: The 5th graders at Cavendish Town Elementary School, informally known as the “Blue Moon” explorers, have recently released a video answering the question “does the sun really rise & set. VT Health Dept. Concerned about Spike in Tick Born Disease: Vermont health officials are warning about a seasonal spike in ticks that is expected to come with a record in the serious tick-borne disease anaplasmosis. The Department of Health says the number of cases of the illness has dramatically increased -- from three cases in 2010 to 201 last year. Officials say they are concerned that even though traditional peak tick activity comes later in November, they have already exceeded last year's case count. They say activity in the southern part of the state is of particular concern. Anaplasmosis bacteria is carried by the same tick that spreads Lyme disease. But where Lyme disease often comes with a rash, the CDC says anaplasmosis rarely does. Symptoms can include fever, headache, muscle pain, malaise, chills, nausea, abdominal pain, cough and confusion. The CDC says anaplasmosis can be fatal if not treated correctly. Vermont officials say more than one-third of the reported cases here were sick enough to be hospitalized. Storm Damaged Amsden Store May Be Torn Down: Located just after the intersection of 106 and 131, the old Amsden store on 131 was heavily damaged by Irene. Weathersfield Town Manager Ed Morris is seeking the town selectboard’s approval to apply for a $75,000 FEMA Pre-Mitigation Grant to tear down the building. This year BRGNS welcomes Berkshire Bank and William Raveis Real Estate / the Vermont Properties Team as major sponsors of the event. In addition to lunch, the afternoon will include a cash bar, a terrific silent auction, and lots of raffle items and door prizes donated by the community. The Roundhouse staff has planned a delicious hot buffet with several entrées. Tickets are $50 per person, and can be purchased at the BRGNS Thrift Store, Peoples United Bank, the Book Nook, and The Wine & Cheese Depot, all located in Ludlow. Or, and this is the really easy way to buy, you may purchase tickets online at www.brgn.org. Please call 802-228-3663 with any questions. Tickets must be purchased in advance. BRGNS is a Section 501(c)(3) charitable organization. 4. HALLOWEEN BBQ AT GREVEN FIELD: 10/28/17: Halloween Bonfire and Barbecue hosted by Cavendish Recreation! Saturday, Oct 28 from 7-9:00 p.m. at Greven Field. Grillin', hot cider and s'mores will be on hand. Just bring your little ghosts and ghost stories. Any extra firewood(no lumber with nails please!) would be greatly appreciated and can be dropped off at Greven at your convenience. OCTOBER 22 (SUNDAY): Jenni Johnson Concert, 4 pm at Gethsemane Church, off Depot Street in Proctorsville. Admission is $10.